Ever taste a blooming onion? The thing practically melts in your mouth. It also sits in your gut. You eat it because your eyes think it’s a good idea, and then your stomach hates you for the rest of the night. Try this simpler, healthier onion for a delicious side that you can eat and enjoy…even later. These are so good you might really need one per person. Or two. Preheat oven to 425 degrees. Saute your breadcrumbs and garlic in a bit of olive oil on medium heat until brown (about 3 minutes). Cut off both ends of each onion, peel off the outer layer and slice downward all the way around (but without slicing all the way to the bottom, so the onion stays together in one piece). 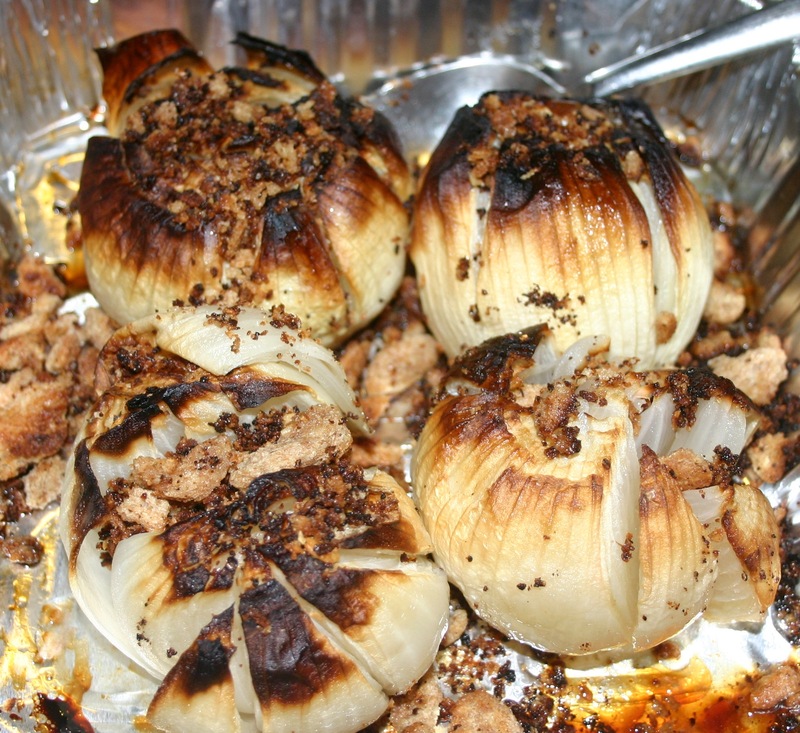 Drizzle onions with olive oil, salt and pepper and bake 25-30 minutes until reaches desired crispiness. Top with breadcrumbs and serve warm.